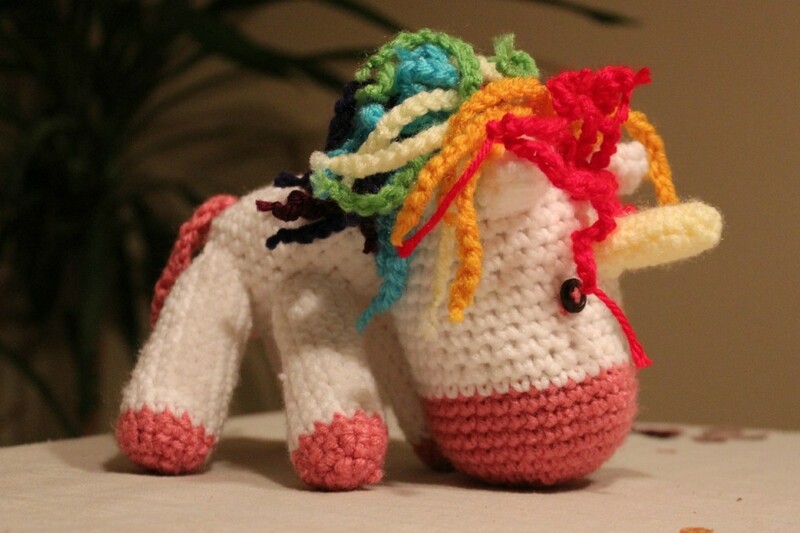 This entry was posted in Crochet Posts on January 27, 2014 by Faith. 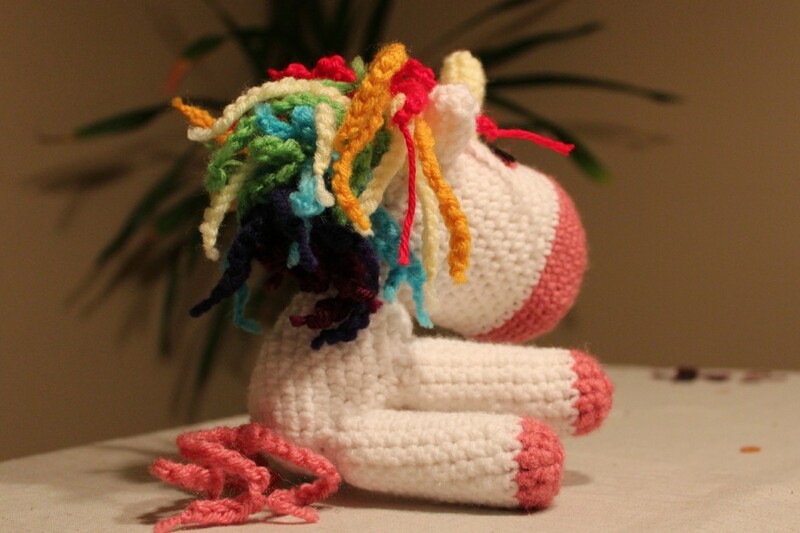 This is my first attempt at Amigurumi. It’s not finished yet. It will be a Unicorn…hopefully. 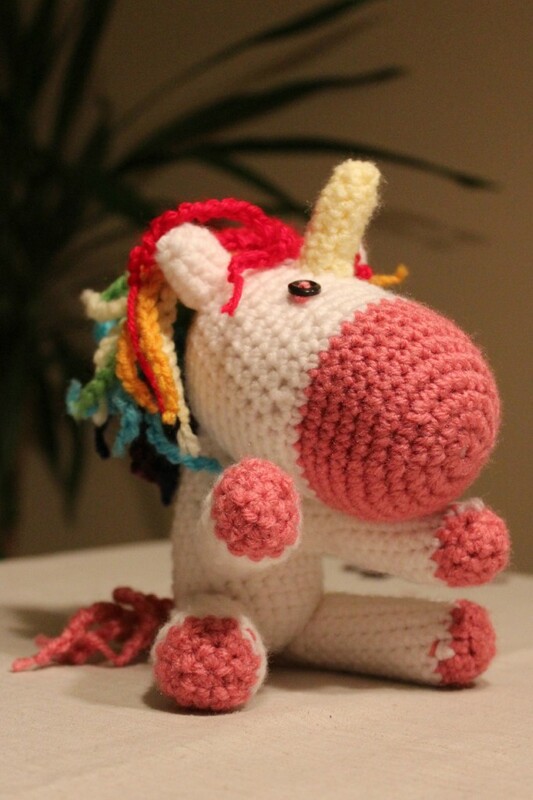 The pattern is from Ana Paula Rimoli’s book “Amigurumi Toy Box”. My Sister-in-Law gifted me the book for Christmas! 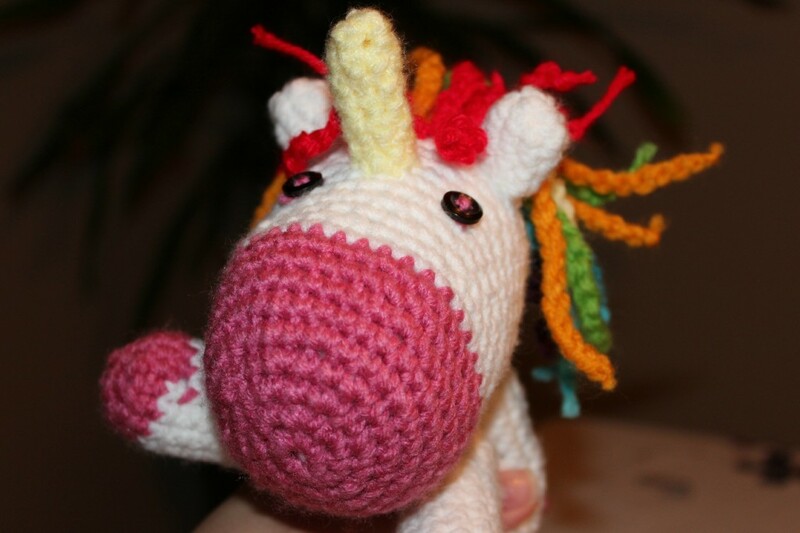 Here is my finished Unicorn project! My Daughter, Pink, absolutely loves her. She carried her around the house with her all day! She named her Iris (after arco iris in spanish) and her middle name is unique. Click to see my Etsy shop! Thank you – Will post finished pictures soon!